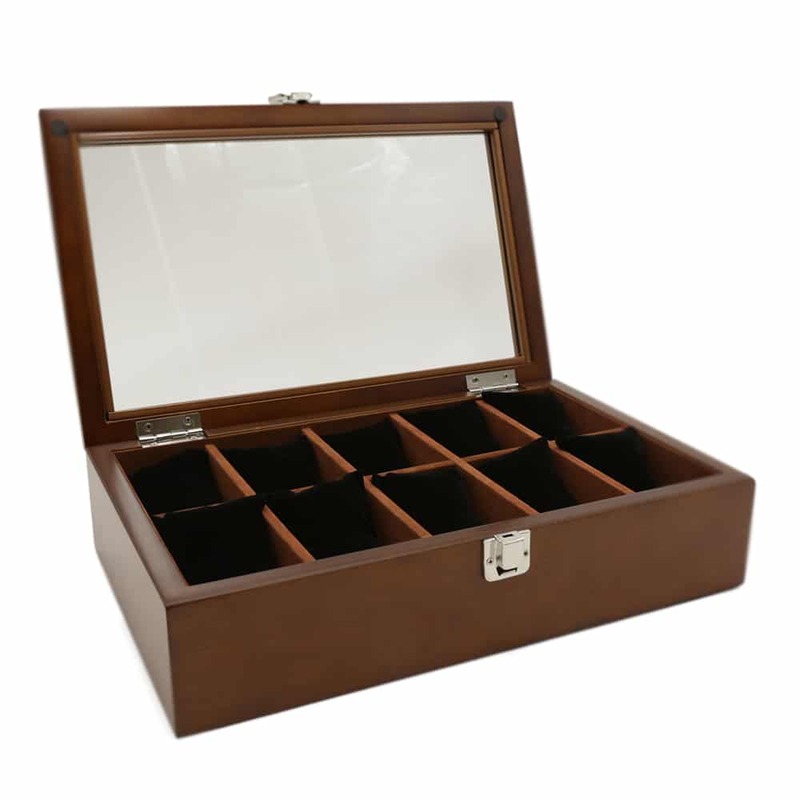 Get this classic Golden Pecan 10 Slot Watch Box to display your collection of fine watches. This wooden watch box comes in a beautiful golden pecan with a high-quality black velvet interior. 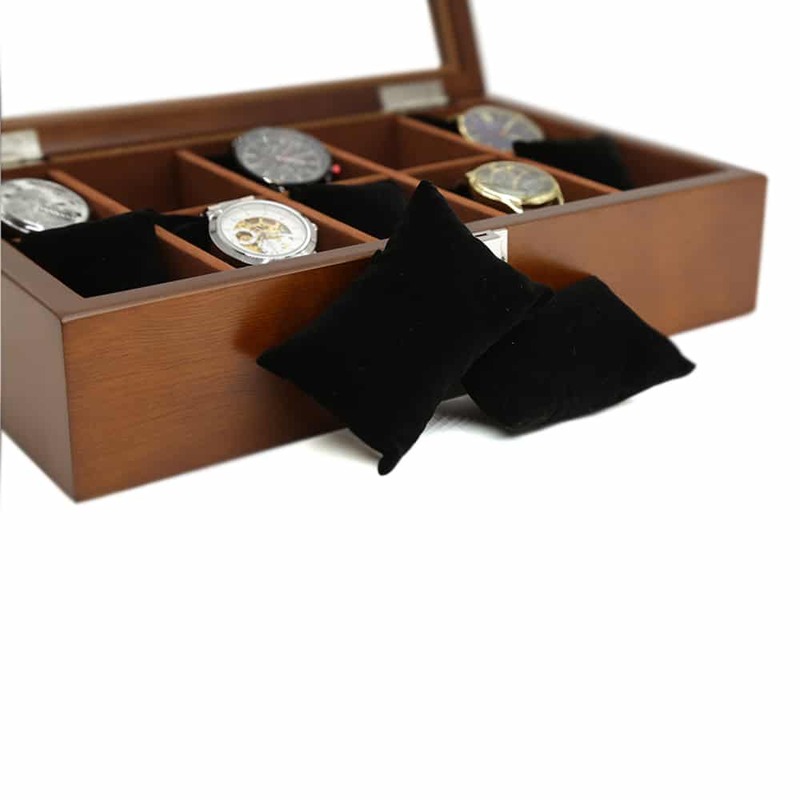 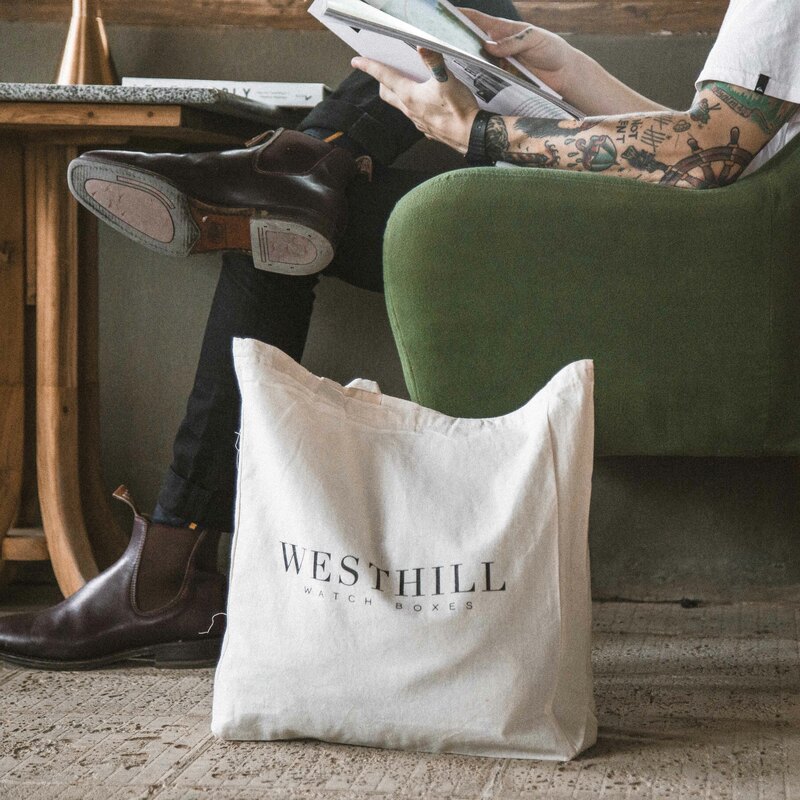 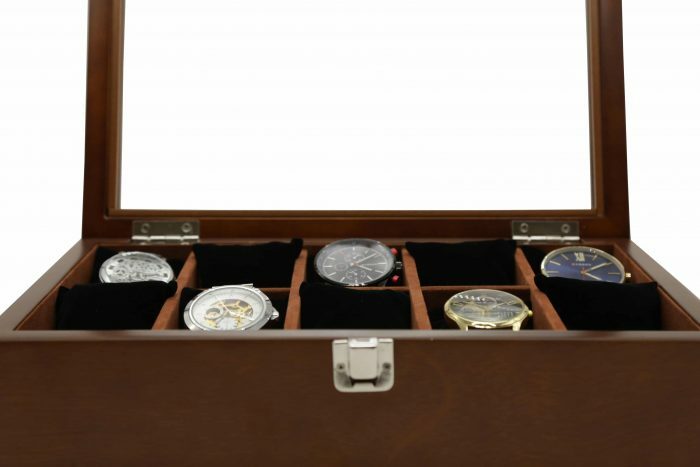 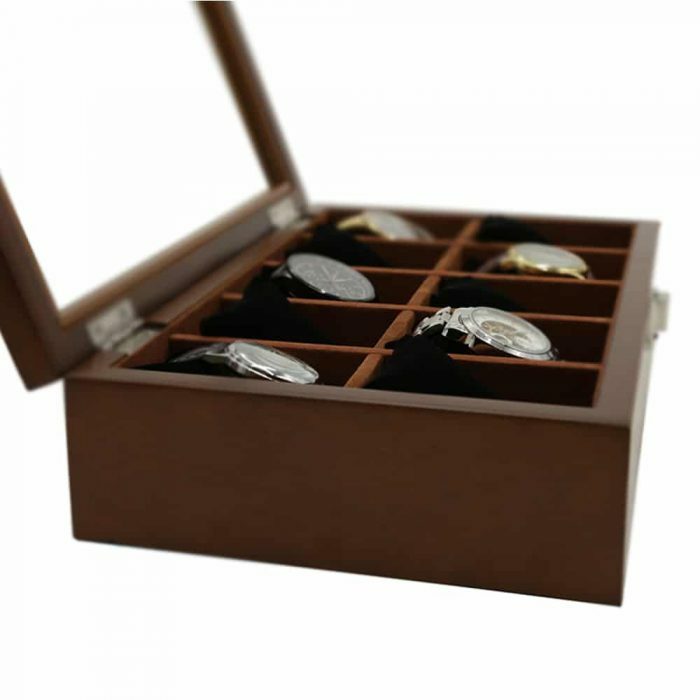 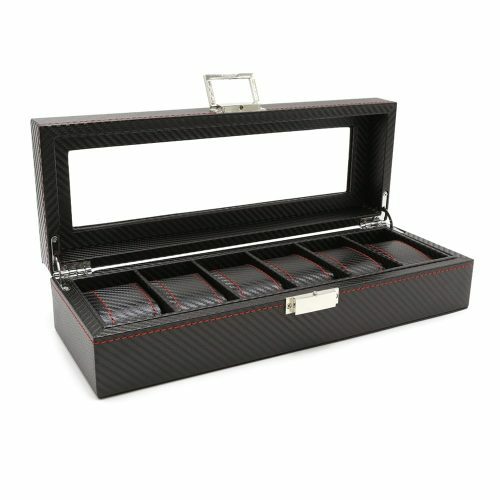 Each of the 10 slots has its own removable extra soft cushions to keep your watches cushioned and upright for display. 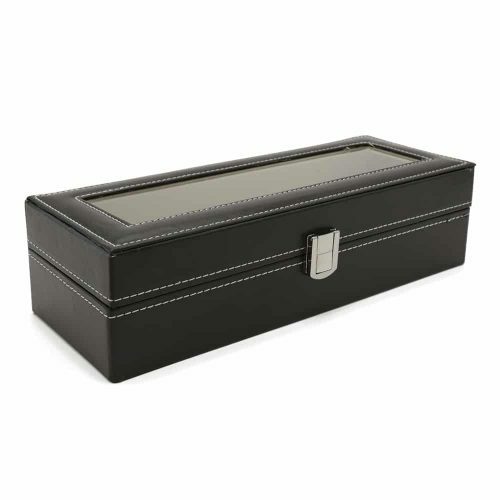 The lid has a silver latch to keep the box secure and it has a large transparent panel for easy viewing. 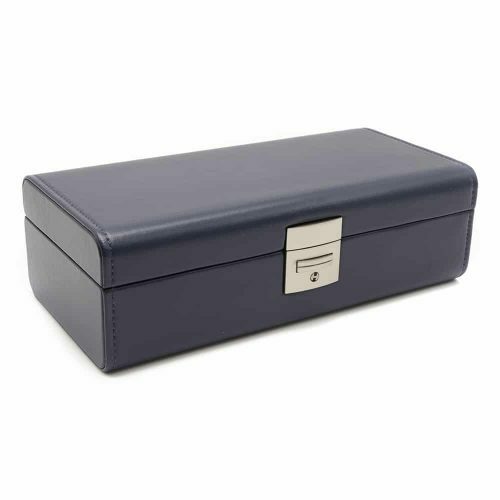 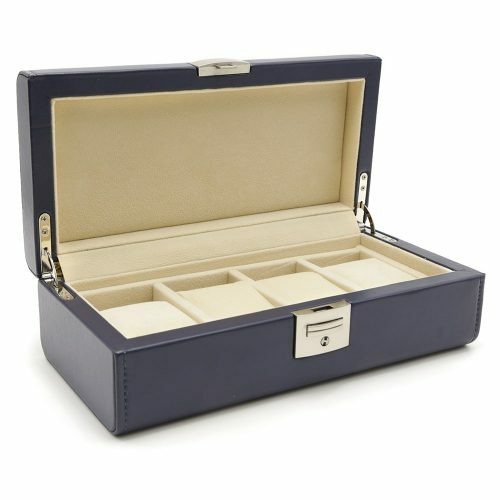 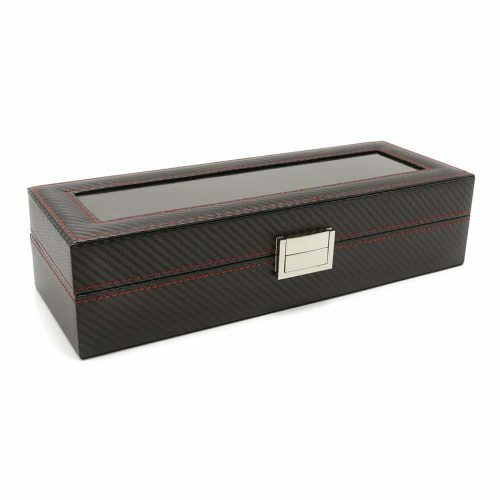 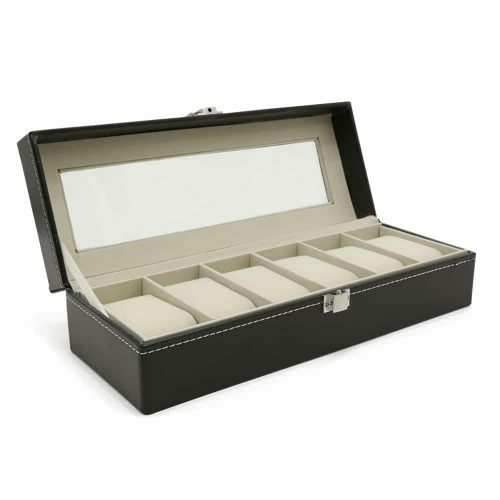 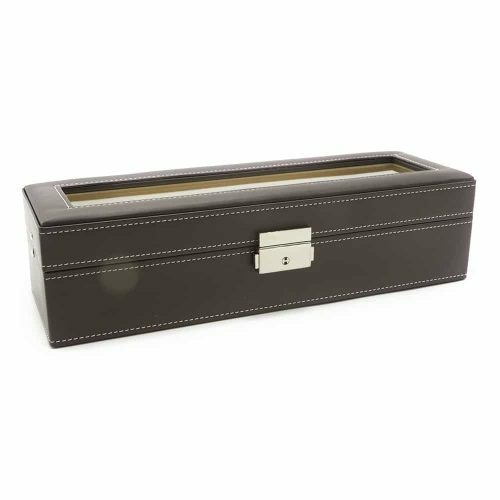 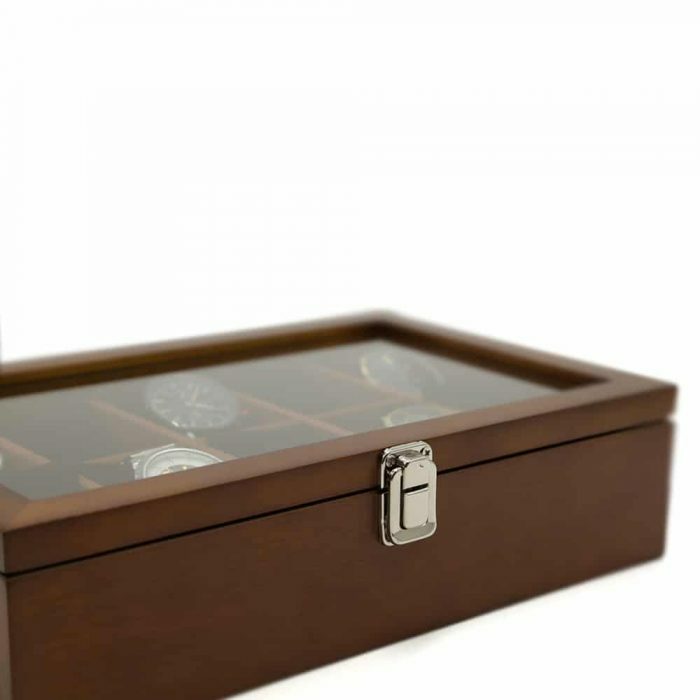 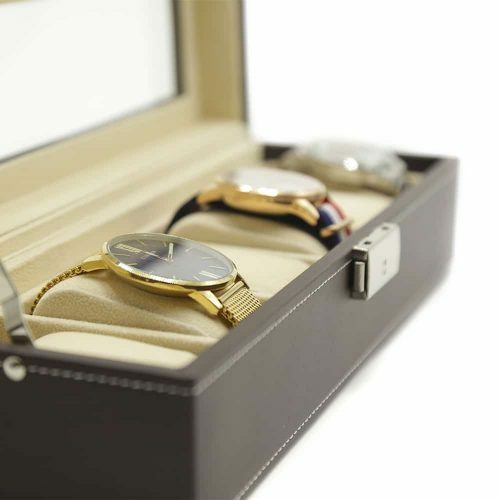 This watch box is great for keeping your collection organised, scratch and dust-free, and safe when transporting. 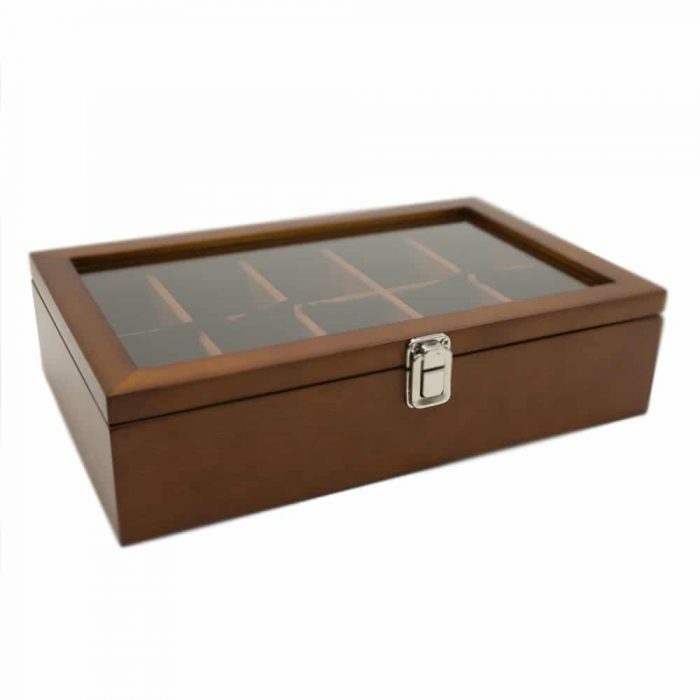 With its beautiful classy design, it makes it the perfect addition to any room.